Guitarist Al Di Meola has announced new tour dates beginning February 2017, in celebration of the 40th anniversary of his classic jazz-rock album Elegant Gypsy. Currently on the road in support of Elysium, Di Meola will be featuring songs from this most recent solo effort along with selections from his vast catalog, and is joined on tour by keyboardist Philippe Saisse, percussionist Gumbi Ortiz, bassist Elias Tona, drummer Luis Alicea and violinist Evan Garr. Revered for his technique on both acoustic and electric guitar, Di Meola has enjoyed a long career as a leader and composer (over 20 solo albums released), and is known widely as a member of fusion supergroup Return to Forever (with Chick Corea, Stanley Clarke and Lenny White), Rite of Strings trio (with Clarke and Jean-Luc Ponty) and for collaborations with fellow guitarists John McLaughlin and Paco de Lucía. The 2017 tour starts in the Southeast U.S. with performances in North Carolina, South Carolina, Georgia and Florida, with future dates to be announced. 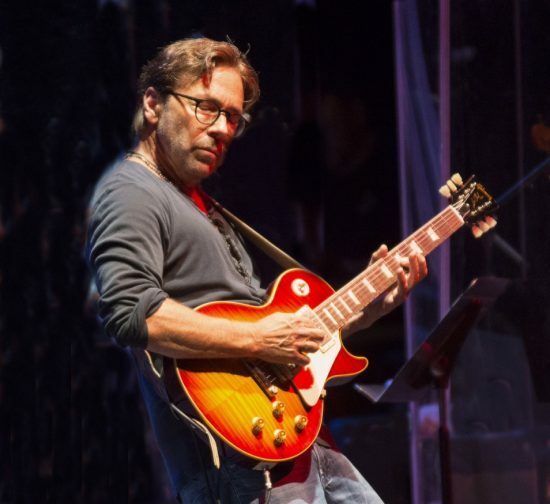 For more information, including the latest tour news, visit the Al Di Meola website.